The greatest battle of your life will not be on a battlefield, at least not a battlefield like most of us normally thing about. The world spends so much time and resources on conflicts and wars, but so little time dealing with the battle that really matters. So what kind of battle is more important than the wars fought between powerful nations? The most important battle ever, is the battle for your mind. Don't ignore this concept, because this is a real battle. In this battle their our captors and captives, just like a war fought with guns and bombs. The most likely captive is your mind, unless you actively defend it! You mind is the greatest prize the enemy can capture and they use the most dangerous weapon of all....Lies. Planting your thoughts and actions firmly in Truth is the best, and only, defense against lies. Bullet proof vests do not protect your mind from being captured. Therefore, don't let truth die on the battlefield of your culture, because if you do, your mind will be the next casualty of the Truth war. The greatest trick the devil ever pulled was to convince the world he didn't exist. Ignoring Jesus Christ has much more serious consequences than simply having your body die for your country over some land dispute or some insult. You are young now, but each day you are growing. As you grow each day, the amount of information you consume (i.e. hear, read, see, etc..) will grow exponentially (grow very quickly). It appears to me that each day the world: rejects God more, shouts the lies louder, and spreads the lies more often. We must not let this take us by surprise. We must be prepared. We will have many choices in life and choices matter! However, one choice is not made in an instant, but is determined by the many choices we make each day. This choice is woven throughout our life and is the most important of all. This choice: To reject or accept the Truth. - Rejecting the lies and accepting the Truth. - Being overwhelmed by so much conflicting information, that you decide truth doesn't matter or doesn't exist at all. I hope and pray that you choose option 1, the Truth. I hope that reading this will help you to choose option 1. However, do NOT make the mistake that since you are reading this that selecting option 1 will be easy. In fact, option 1 is the most difficult of all the options! DO NOT let that discourage you; for the rewards associated with accepting the Truth and acting on it are too great for words to describe. I encourage you to learn the skill of keeping a mental shield around your mind and your heart. We have little control over how often or how many lies will bombard us, but we don't have to let them into our mind and poison our thoughts! Keeping this shield strong and using discernment to decide what to let in requires effort. It does not come automatically. I believe the more Truth you let into your mind to fortify your position, the easier it will be to keep your shields strong and your discernment calibrated. If the Truth is required to build our shields and tune our discernment that how can we do this until we have first determined Truth? We must seek the source of Truth. There is no other way. A very important idea to understand from this Bible verse is that Jesus did NOT say, "I am a way, and a truth, and a life...."
Jesus did not say "a truth", because he was clearly informing us that there is no other truth outside of him. This is an amazing claim of cosmic proportions that not nearly enough people understand. Truth must have a single source. Logic dictates this. If someone claims multiple sources of truth and the sources conflict, then they are poorly defining truth or their claim of multiple truth sources is wrong. If Jesus' claim of being, "The Truth" is true, and I believe it is, then this claim serves to be a beacon that broadcasts loudly over the non-stop noise created by lies. It gives us something to fix our sight on. We can still be distracted, by lies, but at least we always have something to turn back to. Throughout this letter in various places I have said, "Truth" with a capital "T", because not only is there only a single source for Truth, but Truth is also absolute. absolute!? Yes, absolute. This means that each of us cannot read a Truth and then decide for ourselves what it means. It has one meaning and we must seek that Truth to fully understand it. Some may say truth is relative. Saying that truth is relative is really a shallow answer used by way too many people. Two people may have different stories about what took place at a crime scene, but clearly only one set of events actually took place. This is because reality dictates truth and God's view of reality is the ultimate Truth. We must seek to see the world the way God does in order to fully understand absolute Truth. I've made reference to the Bible to support my position. Some may see this as poor logic. Everyone must have a foundational concept in which to build the fortress of their mind. The Bible is the best place to start. The Bible is a book like no other. The word of God. To describe it fully and to the level it deserves would be impossible. 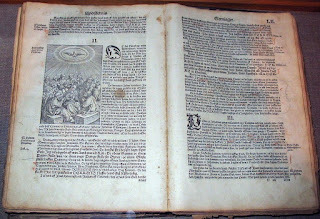 Even if someone rejects the bible, they cannot claim with any veracity that this book is not unique among all other books through out all of history! - The history of the world from its beginning. - Accurate prophesies spoken centuries in advance. - Numerous claims about the attributes and character of God. - a sinless savior satisfying God's wrath against sin. - a person walking this earth that claims to be God eternal and with the miracles to back up that claim. - Predicting Jesus' return and the end of human history. - All of this tied together in a consistent theme. There are answers for all the questions and objections. When building the fortress of your mind; do not be blinded or deceived. Any lie that you accept as truth becomes a threat scheming on how best to push out the Truth and replace it with more lies. I am hoping you will grasp this concept early and prevent any deadly lies from invading the fortress of your mind. I also hope that we all (myself included) will read this letter regularly so that we can evaluate whether or not any lies have slipped past our defenses. If we can remove a lie quickly it will do less damage. P.S. I fear I did not convey this concept with the clarity it deserves, but I had to try. The Truth is priceless and worth every hour we spend pursuing it. Is the Bible reliable as a historical record? Here is a great article that responds to someone who think the Bible is not historically accurate. Obviously this topic could be covered in more depth, but most people don't care to actually see if the Bible is historically accurate. It is just easier to believe it is not or to accept someone else's opinion who ways it should not be trusted. The Bible can prove itself if people test it.